Jim Tressel's Former QB Says The Allegations Are "A Big Lie"
Every morning, the fine folks at Sports Radio Interviews sift through the a.m. drive-time chatter to bring you the best interviews with coaches, players, and personalities across the sports landscape. Today: Youngstown State's finest, Ray Isaac, tries out some media criticism. Ray Isaac joined 790 The Zone in Atlanta with Mayhem in the AM to discuss his displeasure with the SI article, his relationship with Tressel at Youngstown State, why his case has always been linked to Tressel's departure from there, why he's most upset with Sports Illustrated and why he believes Tressel would lie to the NCAA. "The article is a big lie. I think that I've only done two interviews since 1991, since all the allegations came out. … I did both of those interviews in 2003 and I was displeased with how those articles came out. So I have not done another interview since then. I'm very displeased with the article. The article is chewed up. If you look at the paragraph that goes into what I was allegedly to have said, it is poorly written. It doesn't give any facts or clarity." "Number one, I'm totally responsible for what I did at Youngstown State University. Every year, from the time I was on campus, from '88 to '91, Tressel had compliance seminars - not to deal with bookies, not to deal with drugs, not to deal with not buying or selling anything. I knew exactly what I was getting into when I met [booster] Mickey Monus. It is implied that on the first meeting that I had with Mickey Monus that I received $150. That is the biggest lie ever told. … Jim Tressel never ever knew anything about our dealings. I kept it secret. To say Coach Tressel knew about this car, or knew about this money, listen, the only way that anyone knew about the money I received from Youngstown State University was Mickey Monus got indicted on $1.1 million worth of embezzlement and fraud. In documents and public record, they found checks that were written to me. … That's the only way that this situation came to light. … Other than that, no one in the history of the world would have known the Mickey Monus paid me a dime." "I think that Jim Tressel was the coach at Youngstown State University and Mickey Monus got in trouble and then all of the sudden one of his star athletes comes out and his name is associated with that. 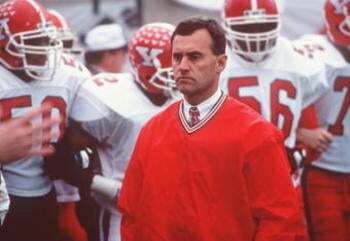 When you look at these Youngstown State investigations, the first paragraph reads that Ray Isaac states that Jim Tressel or no other official at Youngstown State knew about the cars 0r the money." "Jim Tressel is as good a man as you'll ever meet. It's almost to the point where it's hokey; you would think he is phony. Jim Tressel is like the person you want to be when you grow up. … He's always treated me like a son, always got on my case. I'm just appalled by the lack of facts in the article concerning me and him. … It almost looked like he read 50 articles of the Jim Tressel/Ray Isaac situation and mixed them all together and then wrote a paragraph because he could not get any words out of my mouth." "The story has not been told. I think whatever he did, I don't know what he did, I just know he's going to protect and he has tried to protect his players and it just snowballed. It's like something that you just say, ‘Oh my God, are you serious?' He's a manager, man. He's a manager or his coaching staff, he's a manager of people, and it can get out of hand. Before you know it, you don't have grips with what's going on. … I'm the biggest advocate of Jim Tressel." • Mark Emmert still doesn't see why student-athletes should be paid. • Freddie Mitchell says there won't be an NFL season. • Mike Tyson wishes he could fight again.